Exposure to high-voltage electricity is extremely dangerous and can result in serious injury and death. Electrocution injuries often include severe burns as well as potential brain damage and heart damage. 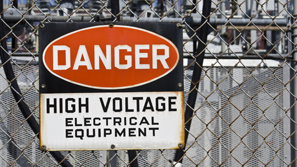 People who come in contact with high-voltage electricity are also at risk of electrocution death. The legal team at The Law Offices of Frank L. Branson has extensive experience representing individuals who have suffered serious electrocution injuries as a result of negligent utilities and negligent practices at construction sites and workplaces. The firm’s lawyers have specific experience representing clients in construction injury lawsuits, and they are assisted by an expert team of engineers, medical professionals, and industry consultants who are able to closely examine an electrocution injury and determine what happened and who is responsible. To learn more about our experience in electrocution matters, we invite you to contact the firm here.